Eight young promises of the fashion world showed their designs in a special presentation during NYFW S/S18. 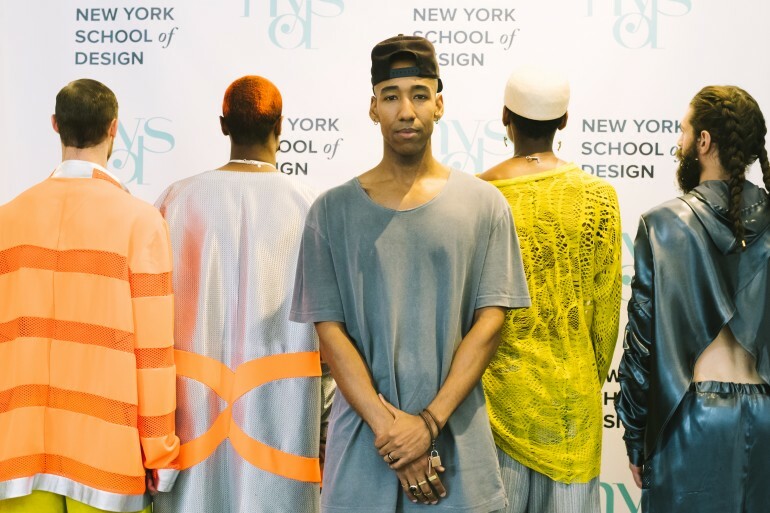 The newly graduates of the New York School of Design put everything they learned into practice and created pieces with styles that represent their personal taste. 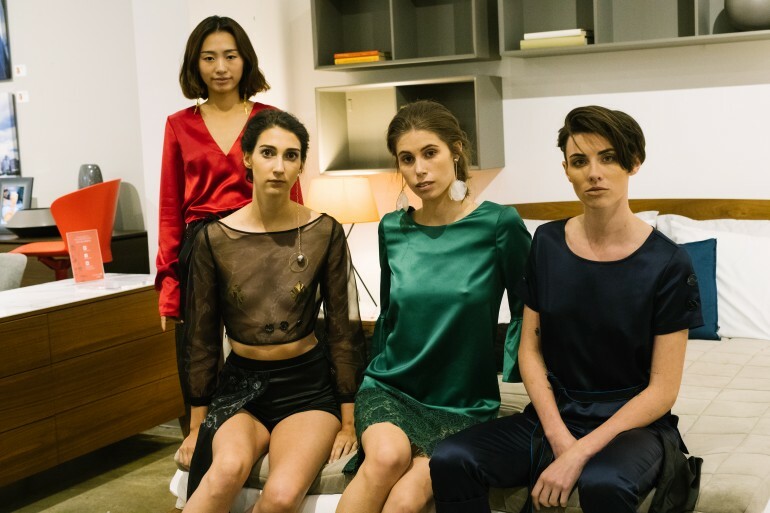 Among the group of emerging designers are three Latin talents, as well as a contestant of Project Runway season 16, and students from China, India and Kosovo. 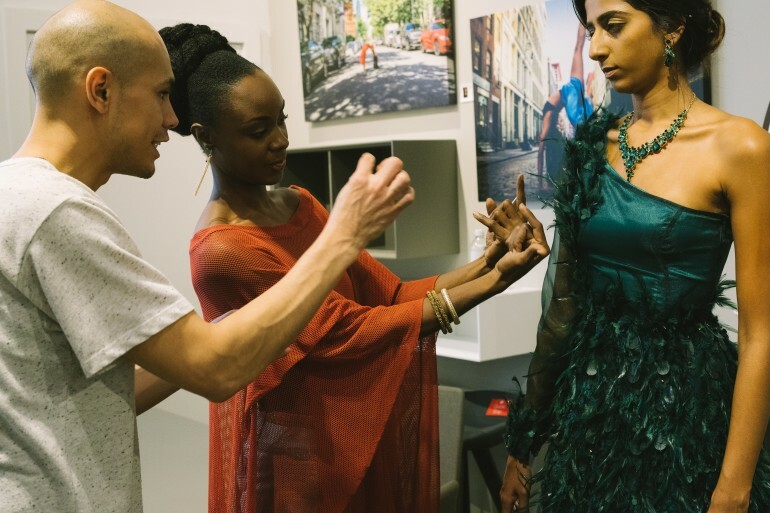 Latin Times spoke with designers Carolina Diane DeFreites from Puerto Rico, Vonnell Gibson from Grand Bahama, and Gina Silva from Honduras, as well with Sentell Avalos-McDonald, Prashansa Mohan, Larglinda Ilazi, Trey Pasquariello and Mina Zhou. Carolina Diane is from a small town, Villalba in Puerto Rico where she was raised by her grandmother. Upon finishing high school, Carolina decided she wanted to study Fashion Design and moved to New York to make it happen. She graduated from NYSD this May 2017 and has been working on her collection for Fashion Week in Puerto Rico. Carolina told Latin Times that she describes her collection as "Spring." Gibson said she loves to add surprising elements to her creations, like combining feathers and studs. Gina was born and raised in Honduras. She discovered her love for fashion while developing an online store for a high school project. She originally thought a career in Fashion Marketing would feed her soul, but it wasn’t really what she wanted to do. In 2015 she decided it was time to make a change. She had the support of her aunt and father although others doubted her. She started NYSD with an “I can do It!” attitude which sparked ideas for her current collection. Her collection is inspired by strong and powerful women who are not afraid to show their feminine side. Silva said she is planning to go back to her native Honduras and described her pieces as "Elegant." 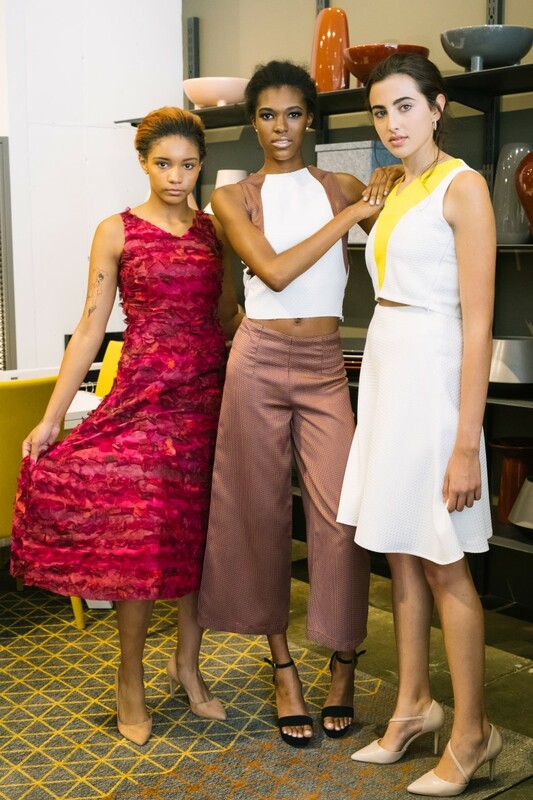 Sentell ​Avalos-McDonald is a contestant on this seasons 16 of Project Runway. As a former professional dancer for 12 years he went back to school to follow his passion for fashion design. Before graduating in 2016, he won a contest and had the opportunity to showcase a mini men's wear collection during New York City's Fashion week. He has designed and help create looks for The Good Night Darlings, Missy Elliot and Rihanna. He has also served as creative director for Jack George, a luxury accessory brand. With a keen eye for detail and a love for street wear, Sentell showcased his new collection inspired by the streets. He told Latin Times that he describes his designs as "Futuristic" and that he would love to see Daddy Yankee wearing his pieces. ​Mohan grew up in India and from a young age displayed a her love for fashion design. Hailing from a Business family background, she completed her Bachelors in Business Management and finance. She knew that her heart belonged in Fashion and design and is now striving to convert her hobby into a career by attending NYSD. Her designs signify a strong feminine aesthetic with the intricate India craftsmanship and detailing and the Western sensibility. Her collection displays an amalgamation of the east and the west. Mohan told Latin Times that if she can use one word to describe her gowns, it would be "Powerful." ​Larglinda Ilazi is a 23 year old fashion designer who moved from Kosovo to US in order to expand her knowledge of the fashion world. She studied Banking Finances and Accounting at University of Pristina-Kosovo, yet her dream was to be able to think and create freely in a big city. Her designs are focused on elegant high end couture evening wear. Her first collection made it to New York Fashion Week Spring/Summer 2016, which opened many doors for her. Currently she is the right hand of a successful couture designer, but always looks forward to and is working on developing her brand. Ilazi told Latin Times that she describes her creations like something part of the "Nature." Pasquariello has been working professionally as a graphic designer for the past six years. His clients have included Fortune 500 companies, startups, and established fashion brands. He currently manages branding, social media, and design for several New York-based companies, including menswear line, Parke & Ronen. 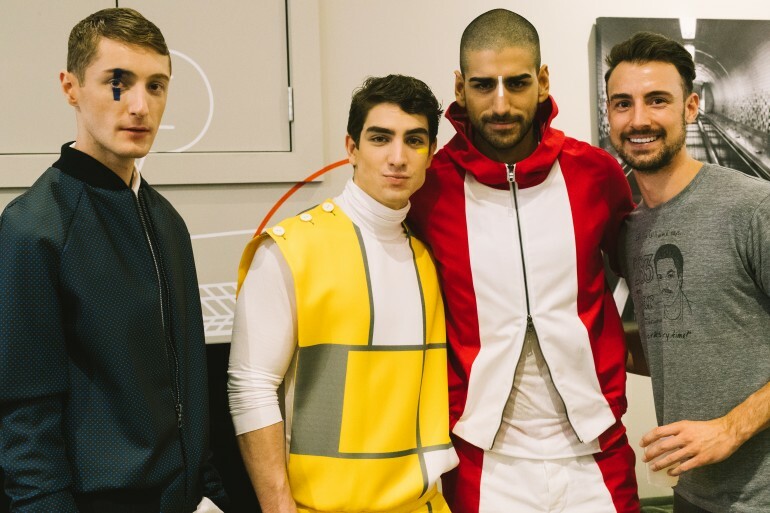 Working on the past three NYFW, men’s fashion shows have given Pasquariello the opportunity to highlight the importance of social media in the fashion industry. Pasquariello combines his knowledge in graphic design, social media, and men’s fashion. He described his collection as "Primary." ​Mina was born in China. She is a motivated, self-starter and creative fashion designer who has always been passionate about fashion, art, culture and life. She had always dreamed that one day she would travel around the world. She has been lucky enough to do just that and draws her inspiration from people and cultures around the globe. She told Latin Times that if she had to use one word to describe her gowns, it would be "Elegant." The SS18 presentation during NYFW is the first standalone Fashion Week presentation for the school showcasing the work of talents in womenswear and menswear.